To all our readers in the United States: Happy Thanksgiving! Do you ever feel that you are not as thankful as you should be? We have all been blessed with so much in life – with food, and salvation, and family – but we often don’t give thanks as much as we know that we should. As members of the body of Christ we cannot think of giving thanks without thinking of the Thanksgiving Meal of the Church – the Eucharist. Taken from the Greek word meaning “to give thanks” (eucharistia), the Eucharist is our sharing in the thankful, joyful, gift of the Trinity’s life given to us through the Son of God’s humanity as the man Jesus Christ. In the bread and wine of worship the Son lifts up the Thanksgiving of humanity before the Father, in the grace of the Holy Spirit, and he includes us in this offering of himself and his faith on our behalf. When we share in this Thanksgiving meal of the Eucharist by our eating, drinking, and saying “Amen!” we are participating in Jesus’ Thanksgiving on behalf of the whole human race. We share with him in thanking the Father for adopting humanity as his own children and for pouring out the Spirit on all people. Jesus is both the one for whom we are thankful and the one who offers up the sacrifice of thanksgiving on our behalf. That ought to encourage us when we sense that we are not as grateful as we wish to be. Even when we do not know how to express our thanksgiving, and even when we fail to do so out of forgetfulness, laziness, or simple distraction, we know that Jesus our High Priest lives forever before the Father to offer up our thanksgiving for us. 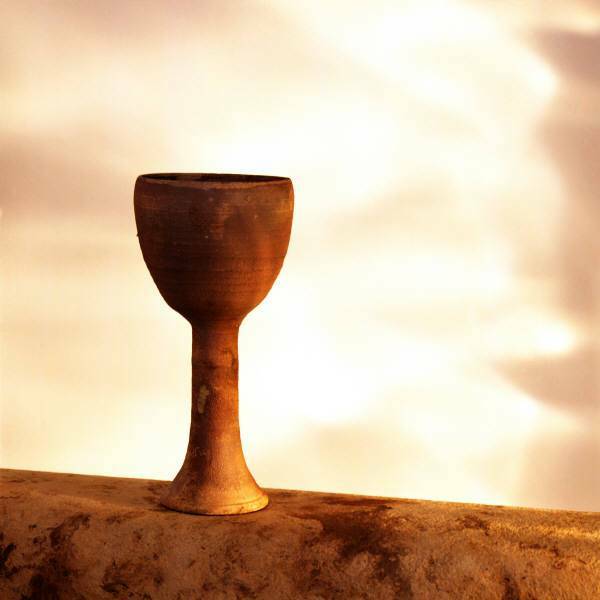 It is for this reason that the Eucharist – the breaking of the bread – is the heart and soul of Christian worship. We are a fellowship of Thanksgiving, led by the High Priest who is both offerer of the Thanksgiving offering and the offering itself. May the Thanksgiving offering of Christ our High Priest fill you and those you love with the joyful life that he shares with Father and the Holy Spirit – one God, faithful and true, now and for ever. Thanks, Jonathan. I shared this on my Facebook page. Instead of repeating the whole thing here, my comment is written in an article on Communion on my blog page.